Pulley Wheels,Load Wheels,Rope Pulley Wheels,Polyurethane Load Wheels,India. Established in year 2001, we, "Solid Wheels Industries", are Manufacturer, Exporter, Supplier, Distributor, Wholesaler, Trader, Retailer an extensive array of UHMPE Wheels & Material Handling Equipment for past 11 years. Our extensive array includes UHMWPE Wheels, Polyurethane Wheels, Cast Iron Wheels, Polyolefin Wheels, Low And Medium Duty Wheels (50 - 500 kg capacity), Medium And Heavy Duty Wheels (500 - 1000 kg capacity), Heavy And Extra Heavy Duty Wheels (greater 1000 kg capacity), Polypropylene Wheels, Material Handling Equipments (OEMs) & many more. Our offered products are extensively used in several material handling processes such as loading and unloading of heavy duty materials, mineral transportation, oil drilling, metal grinding and other operations. The entire range of UHMPE wheels and others finds wide applications in trolleys, trucks, conveying machines, transport vehicles and others. 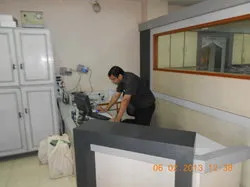 We have established a modern infrastructure that is equipped with latest machines and tools to meet the specific requirements of the customers. 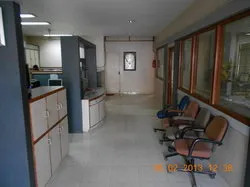 Our infrastructure consists of CAD/CAM units, tools section, and Quality assurance laboratory, research & development laboratory and supply departments. These wings are managed and handled by the team of expert engineers, technocrats and skilled workers, who utilize their full skills and knowledge to fabricate UHMPE molded Wheels as per the industry specific standards. Present installed capacity of our production plant is 1 million UHMPE wheels in a year. We enhance production capacity of our plant continuously to meet the increased demands of the customers. Currently, we have created distribution network in more than 20 countries of the world to facilitate smooth and quick transportation of finished products at various clients’ destinations. Our offered range is widely exported in the Australia/NZ, Indian subcontinent, North America and other regions of the world. We work under the guidance of our mentor Mr. Sharad Shah, who is founder as well as Chief managing director of the company. He has long 35 years of experience in Textile mills, Material handling units and other companies. His long industry experience and good grasp about the domain business has helped us to consolidate our market position during one decade. 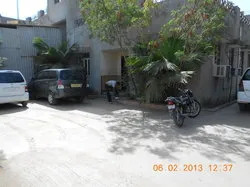 Our company was established in the year 1998 by Mr. Sharad Shah in a shed area of 250 sq. meters. The initial installed capacity of the company was 75,000 UHMPE wheels per annum. In the year 2000, the production capacity of the company was raised up to 100,000 wheels in a year. In the year 2002, we shifted our production unit in a new area Changodar with enhanced installed capacity of 450,000 wheels per annum. We also installed in that year automated hydraulic presses and multi cavity moulds in our facilities. 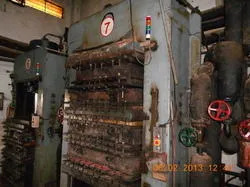 Furthermore, in the same year, we also added tool section and in-house workshop to design machine components, fitting ball bearings and casters in customized specifications. In the year 2005, we started production of Cast Polyurethane wheels. We expanded our production capacity up to 700,000 UHMPE molded wheels in the year 2006. In the same duration, we also installed our in-build UHMWPE powder processing unit to meet the increased market demand. We started producing new products PU wheels with PP and nylon cores, Polypropylene wheels, Cast Iron wheels and Cast Nylon wheels in the year 2008. We expanded installed capacity of our production unit up to 1 million wheels per year in the year 2009. Furthermore, we also bagged ISO 9001:2008 quality certifications in the year 2010. Currently we are in the process of building new manufacturing units for UHMWPE sheets. Various functions of our organization are efficiently managed by the team of experienced and well trained professionals. Our professionals are highly experienced in diverse professional fields and they are employed in the various departments as per their proven skills. We arrange periodic training session for our all team members to acquaint them the new developments in the business and manufacturing processes. Due to committed and collective efforts of our team, we are able to meet all sorts of market demands within the specified time frames. Our diligent team members work with utmost sincerity to meet the ultimate objective of complete customer satisfaction. Our company is backed up with dynamic professionals who are the backbone of our company. Our professionals are the leading experts in their specific field. Our professionals strive hard to achieve the highest possible customer satisfaction by offering our clients with highest quality of products at very reasonable price within the mutually settled delivery schedule, paying due attention to the requirements of packaging and packing. We have been able to flawlessly deliver our range of products to our valuable clients who are spread all over. Till date we have been offering them with the best of what we can. We offer all these at competitive prices and also we provide assistance in many quality conscious international clients throughout the world.